September Photo Diary & My First YouTube Video! Despite officially saying goodbye to the final few days of Summer (if we can even call it that in the UK *eye roll*), I’ve had the best September! 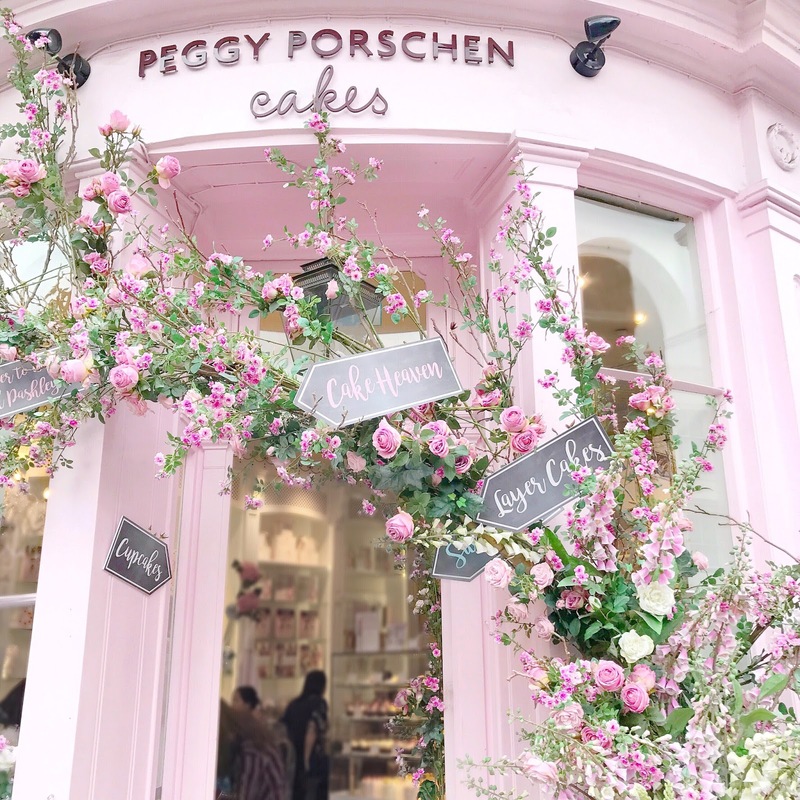 I mean any month that involves a visit to Peggy Porschen, is an instant winner right? 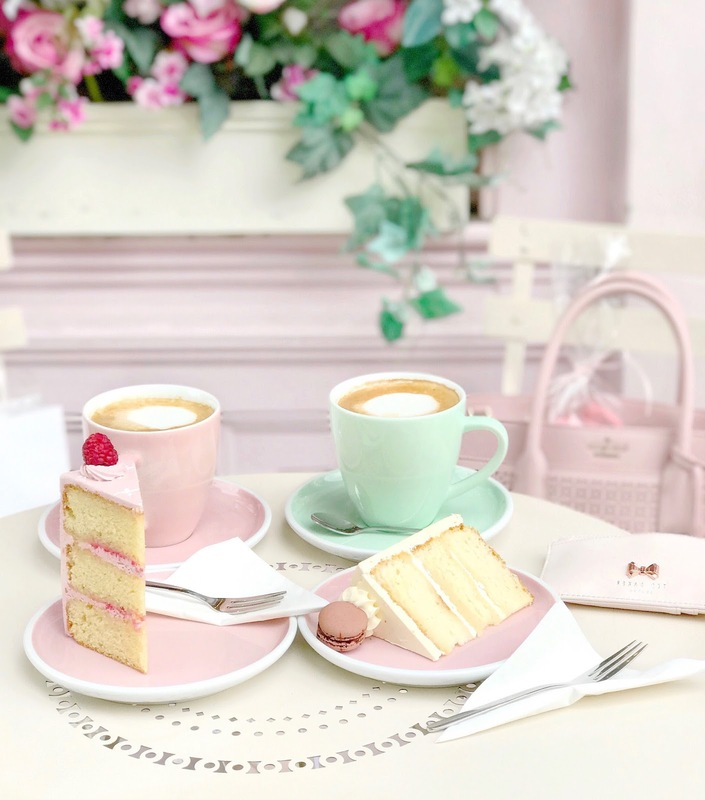 Me and my lovely friend Freya had a little cake date with slices of lemon, raspberry and rose cake, vanilla cloud cake and lattes in adorable pastel mugs. Safe to say we were in pink cake heaven. Even their Summer display of the parlour looked gorgeous. The floral arrangements looked so pretty with the cute little signs scattered throughout it. They never fail to impress! 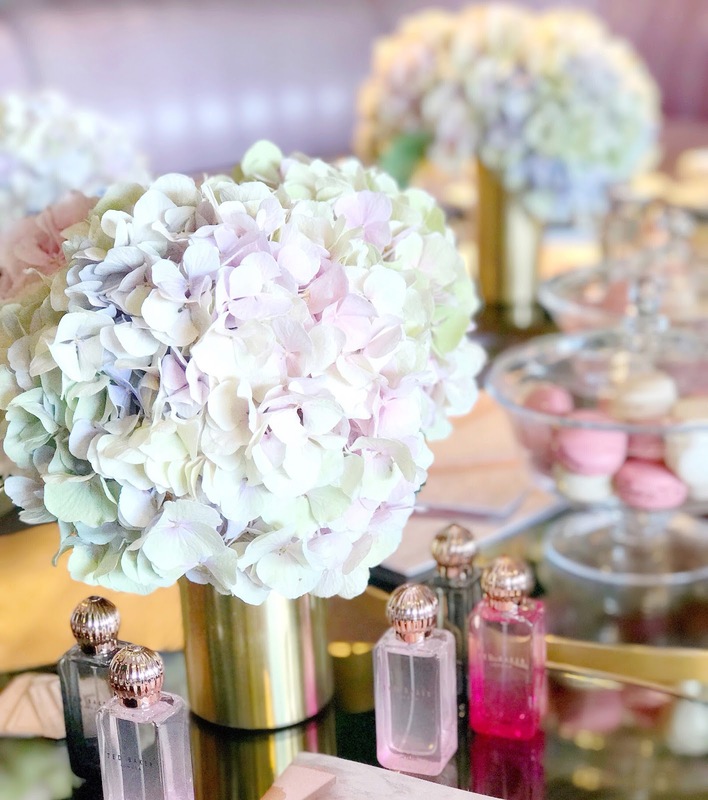 I was also invited to the new Ted Baker Sweet Treats event to celebrate the launch of their new fragrances, and I had the loveliest time. 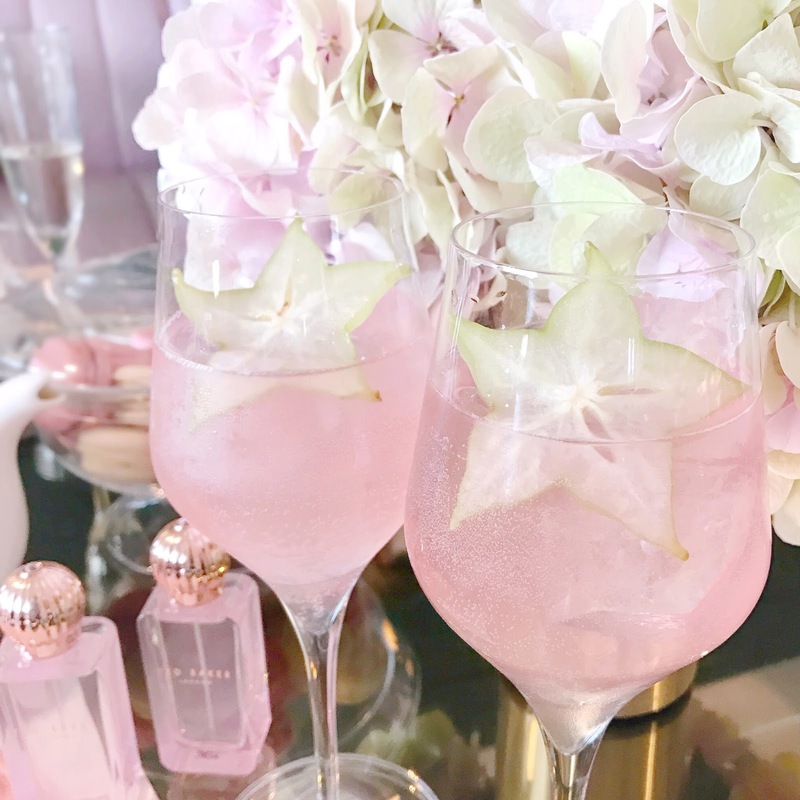 We were spoilt with afternoon tea, macarons and pretty cocktails, in the most beautiful bar with pink leather seating and gorgeous lilac, pink and cream hydrangeas decorating the tables. So dreamy! Their new fragrances smell beautiful and you can read my full review here if you’d like. Finally my new dressing table arrived and I don’t think I’ve ever been more in love with a piece of furniture ever. It’s the most gorgeous Parisian style vanity with beautiful carved detailing and I’m so so happy with it, it looks so pretty and elegant! I’d originally ordered a different one from another brand, which not only took weeks to arrive but then arrived faulty. So I then ordered this one instead which is far prettier than the other one anyway (silver linings!). 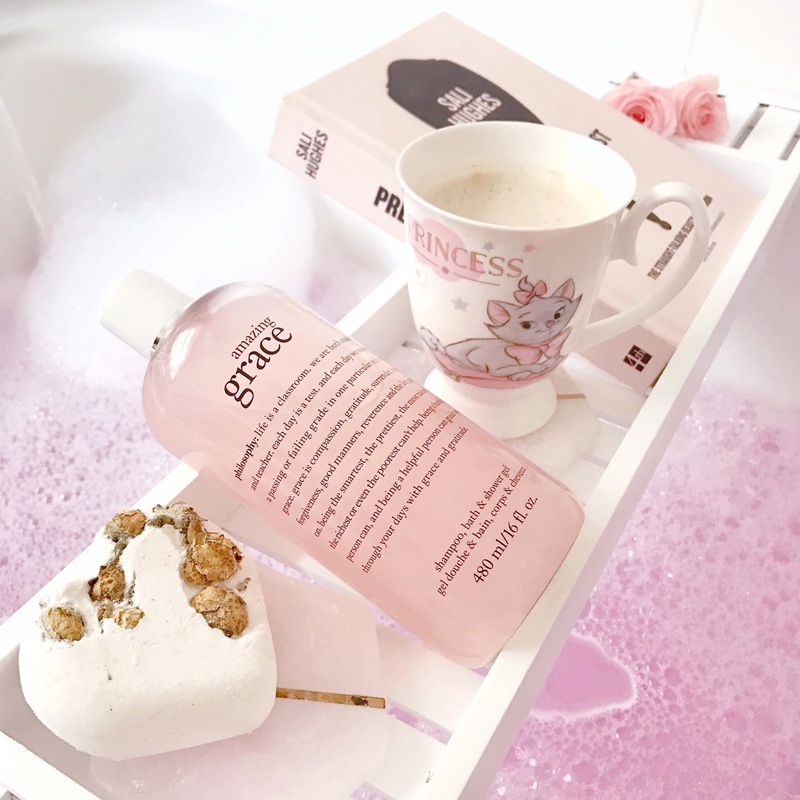 Because pink bubble baths are better than ordinary bubble baths! I had a Lush Magic Wand that I’d saved over from last Christmas as it’s one of my favourites, it makes the best bubbles and has that amazing candyfloss Snow Fairy scent. I also recently bought a bottle of the Philosophy Amazing Grace shower gel, which I’d been dying to try for the longest time, and it has the loveliest floral, fresh scent. I finally started a YouTube channel, yay! It’s something I’d been wanting to do for months (if not years) but I kept bottling it and talking myself out of it. So I decided I needed to just get over my nerves and do it! Even though I still hope to improve my videos as time goes on, everyone’s response to my first video has been so so lovely, so thank you so much for that! I put together a collection of my most recently purchased products, and I wasn’t aware that basically every item was pink! I mean did I expect anything different of myself, really? (That’s an obvious no). Check out my first video down below (or here) if you haven’t already, and subscribe if you’d like to! If you have any video ideas that you’d like to see then do send them my way! I'd love to visit Peggy Porschen some day! Congrats on the first YouTube video by the way, it was beautifully shot!